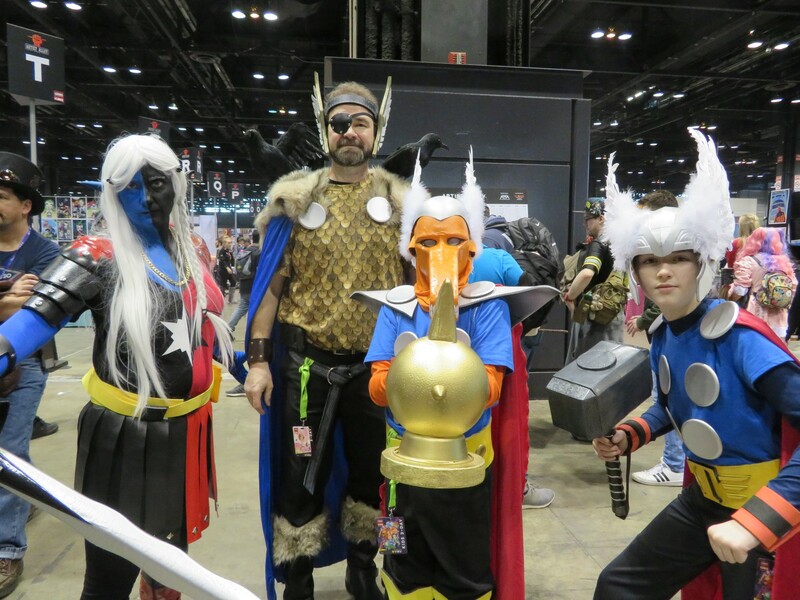 C2E2 2019 Photos, Part 3: Marvel and DC Cosplay « Midlife Crisis Crossover! Friday in Asgard: Thor, Odin (with Huginn and Muninn! ), Malekith and Hela. 3. We didn’t attend Sunday. 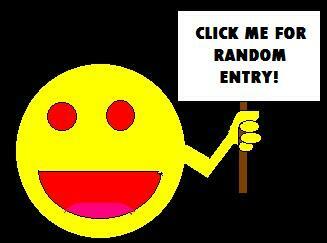 As previously explained at excessive length, we also nearly never do costume contests anymore. Sincere apologies to anyone we missed as a result. 4. Corrections and comments are always welcome, especially when we get to Part 5, which will include at least two characters we young geezers didn’t recognize. I do like learning new names and universes even if you’re more immersed in them than I am. 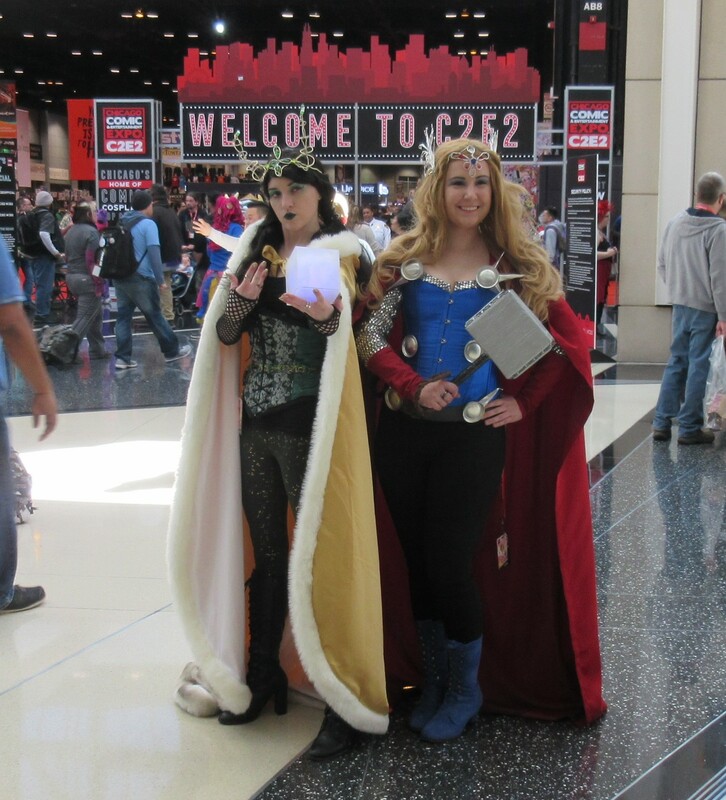 Loki and Thor bid you welcome to C2E2! 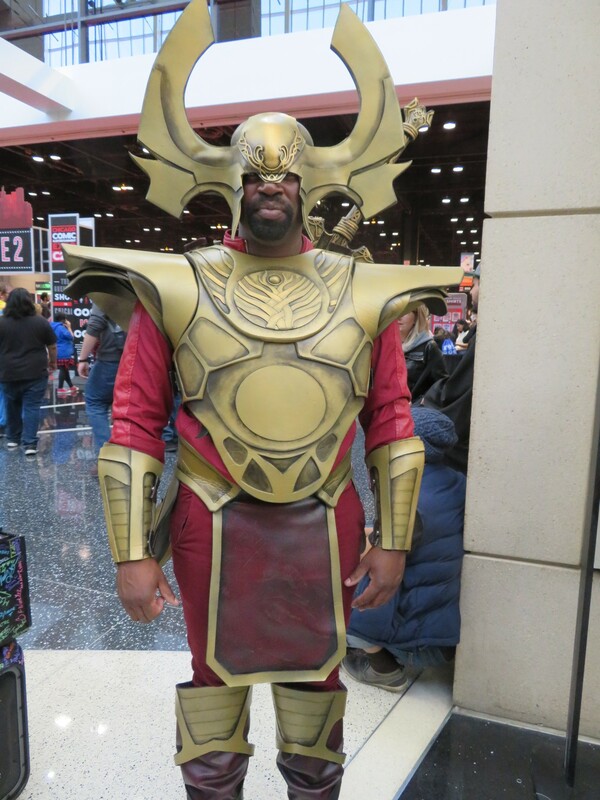 Normally welcoming you would be Heimdall’s job, but this isn’t Asgard and it’s his day off. Also big at the movies: Mera, star of Aquaman. 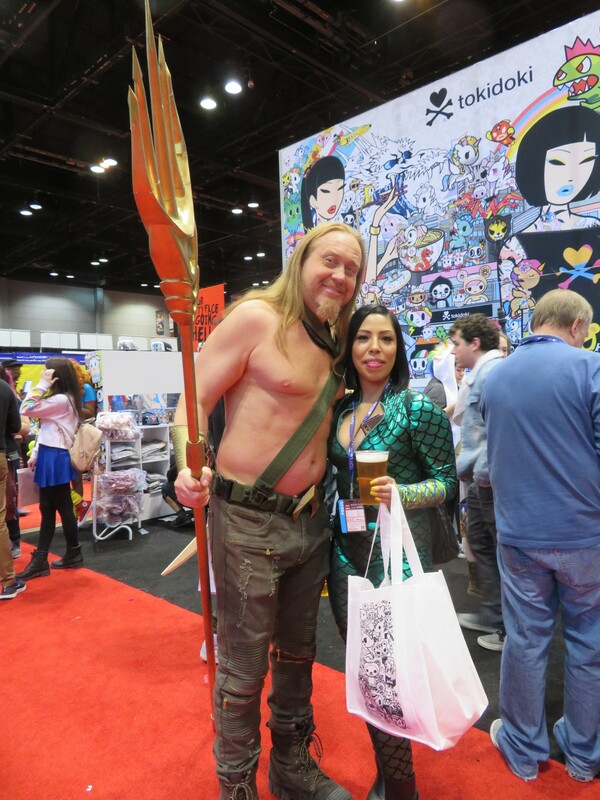 Aquaman and Mera vacationing on the surface world and enjoying some of its libations. 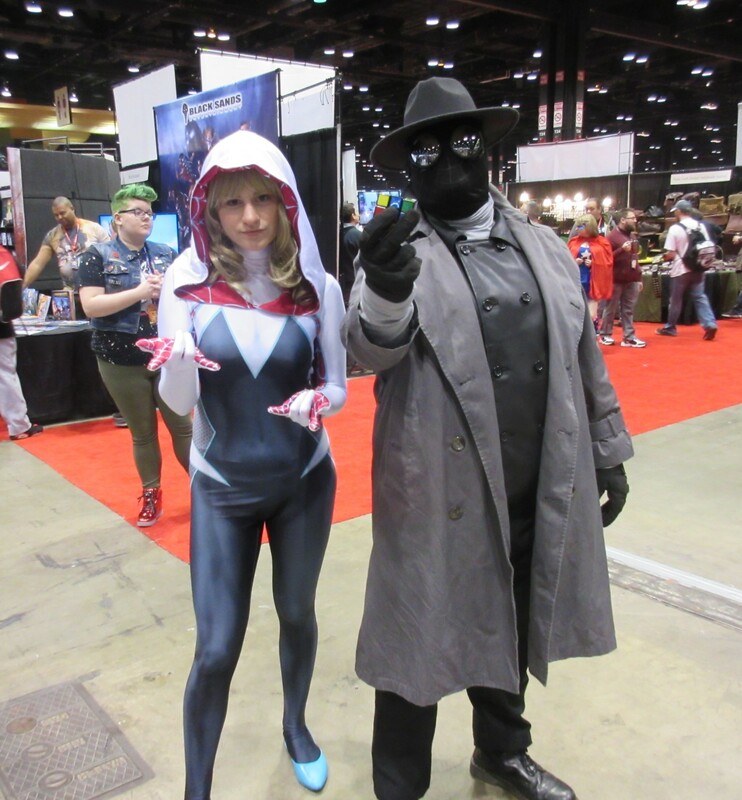 Differently big at the movies: Spider-Gwen and Spider-Man Noir, part of this year’s Spiderverse cosplay explosion. 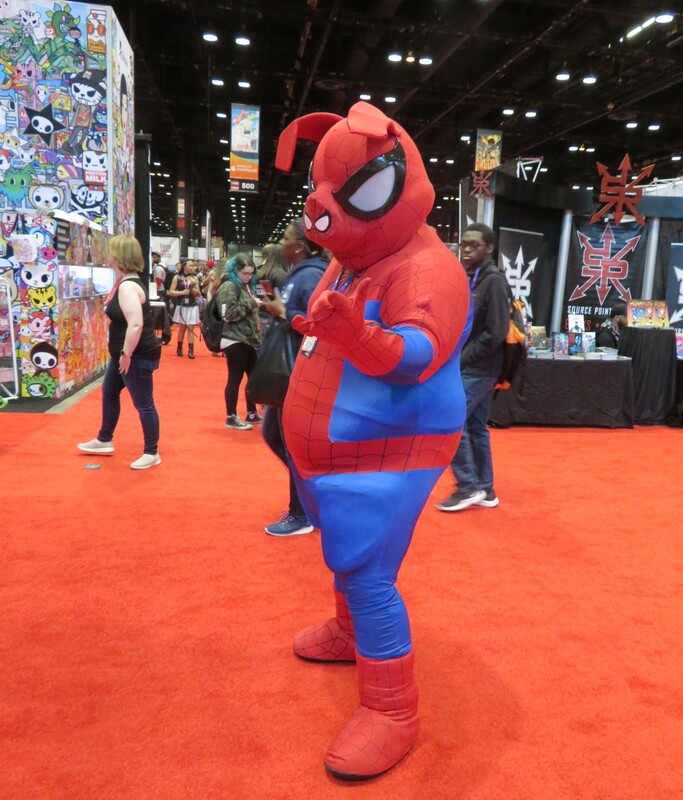 Also from Spiderverse and my childhood: Peter Porker, the spectacular Spider-Ham. 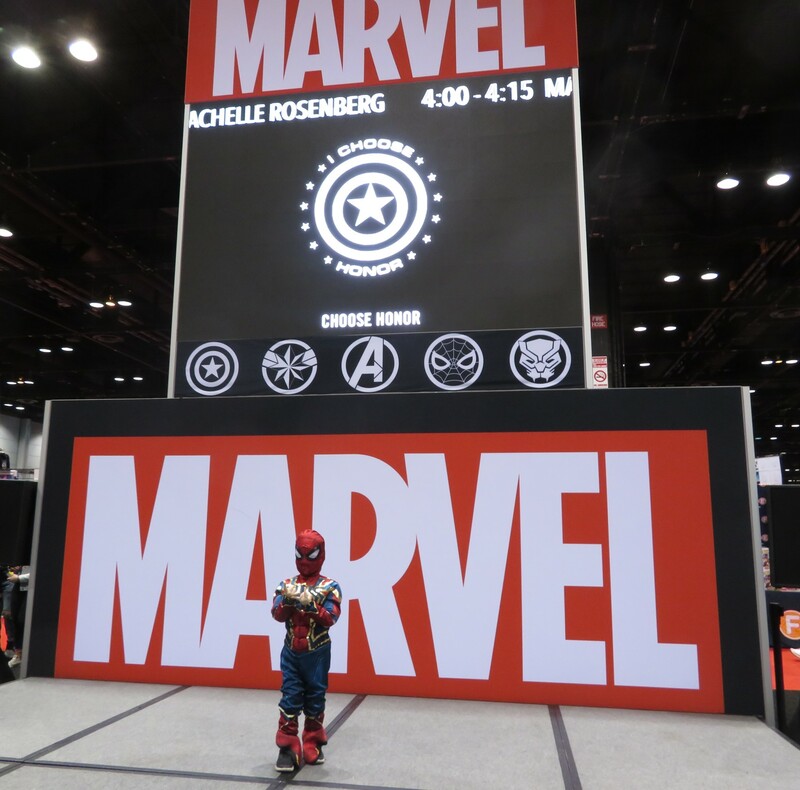 The itsy-bitsy Spidey climbed up the Marvel stage. 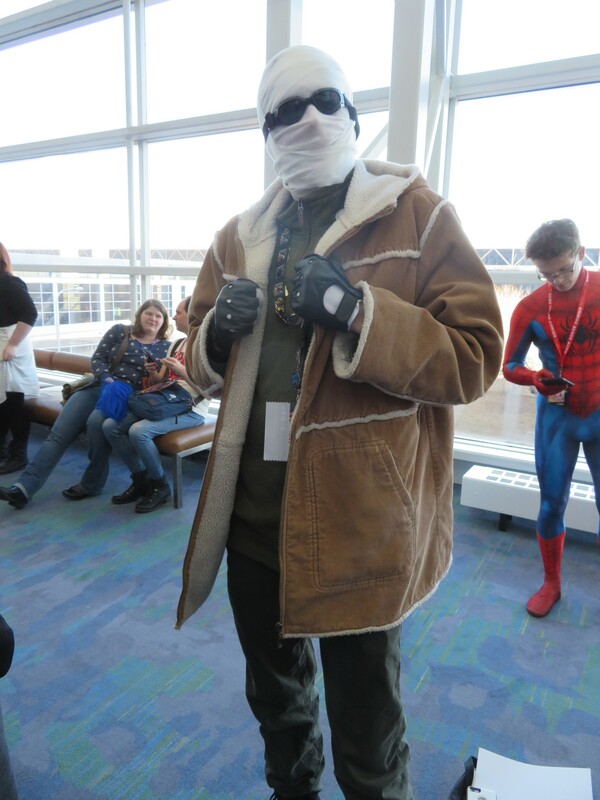 Meanwhile on TV: Negative Man from the Doom Patrol. Mr. Terrific, star of TV’s Arrow. Meanwhile not on TV: Daredevil. 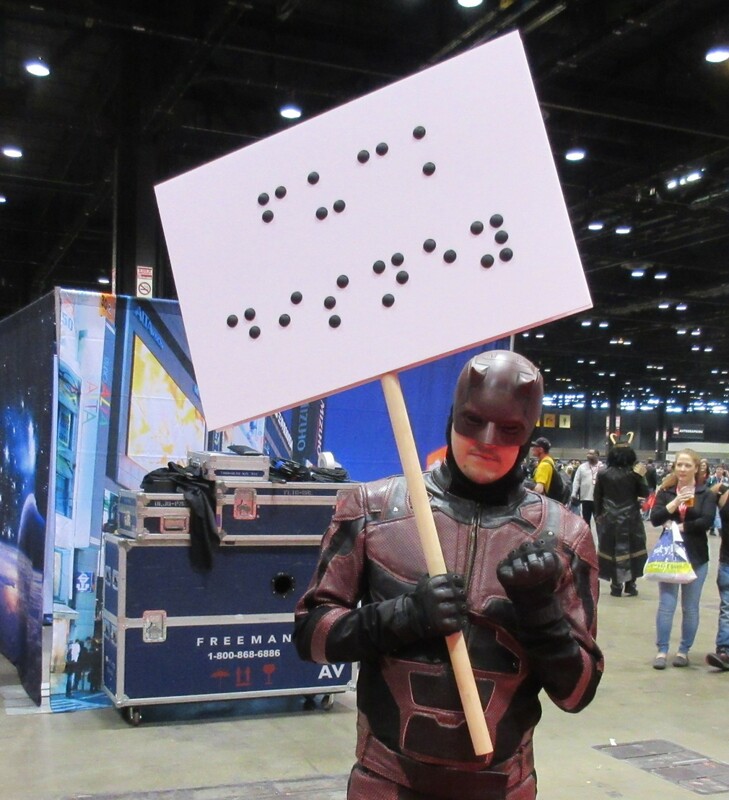 The second word in his Braille sign is “DISNEY”. 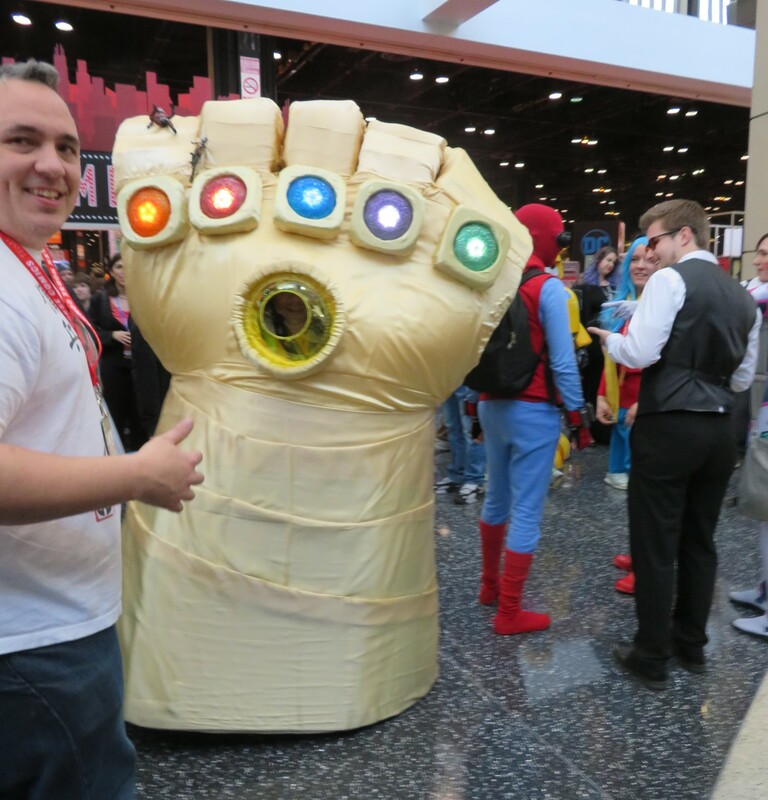 Once again the Infinity Gauntlet stands out from the crowd, and thankfully too big to snap. 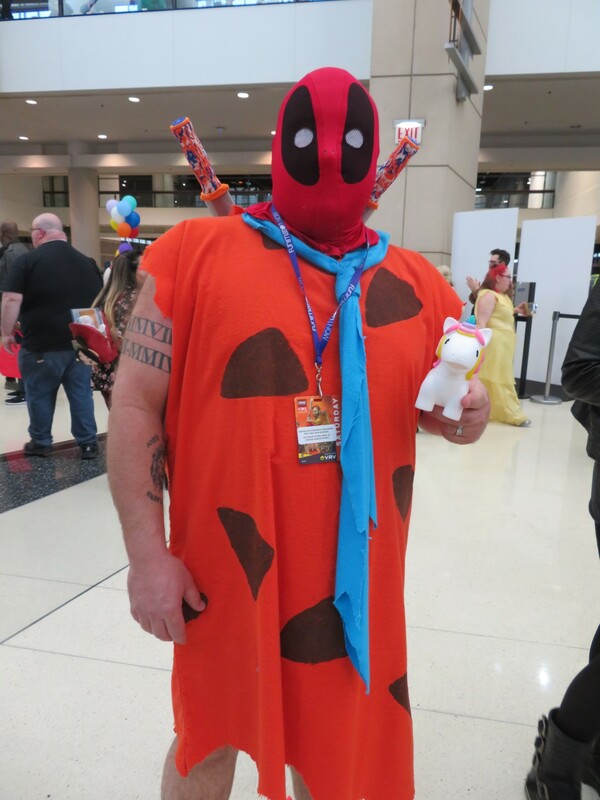 Fred Flintpool, somehow the only Deadpool variant we braked for. We’re losing our touch. 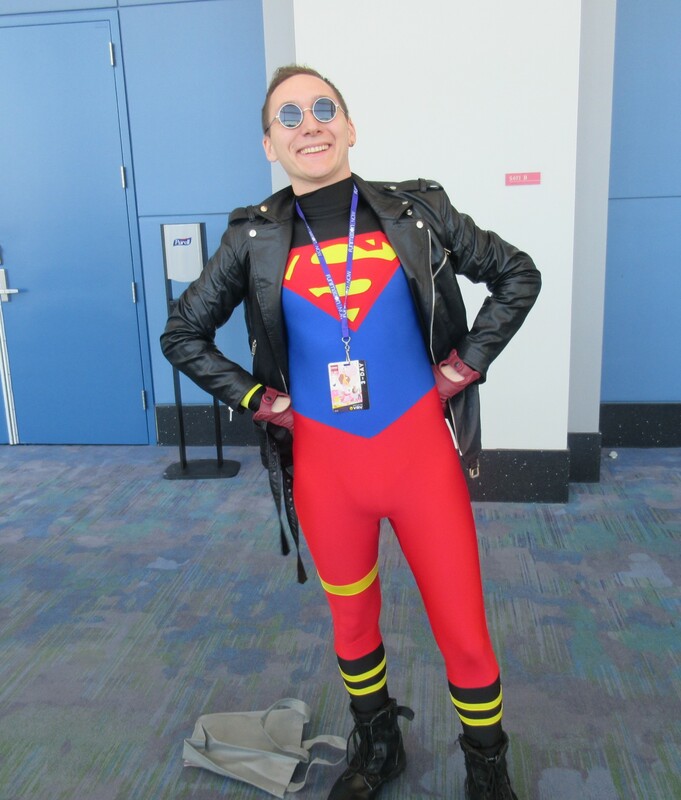 Kon-El, a.k.a. Superboy, sporting his totally ’90s gear from that time he helped replace Superman while he was dead. 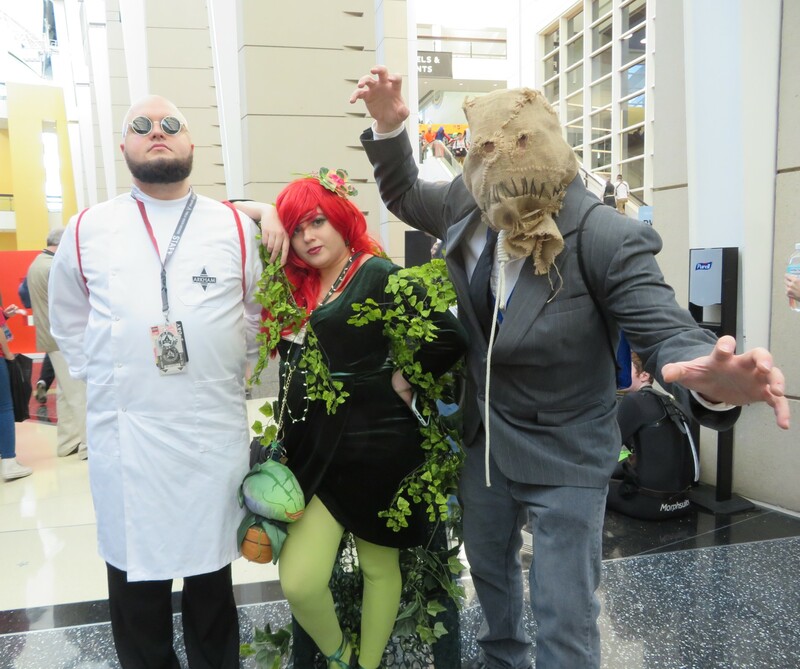 Mandatory Bat-Villains: Professor Hugo Strange, Poison Ivy, and the Scarecrow. Saturday in Asgard: Thor and Odin return, but Hela is now Malekith, and the previous Malekith is now Beta Ray Bill, armed with Stormbreaker. 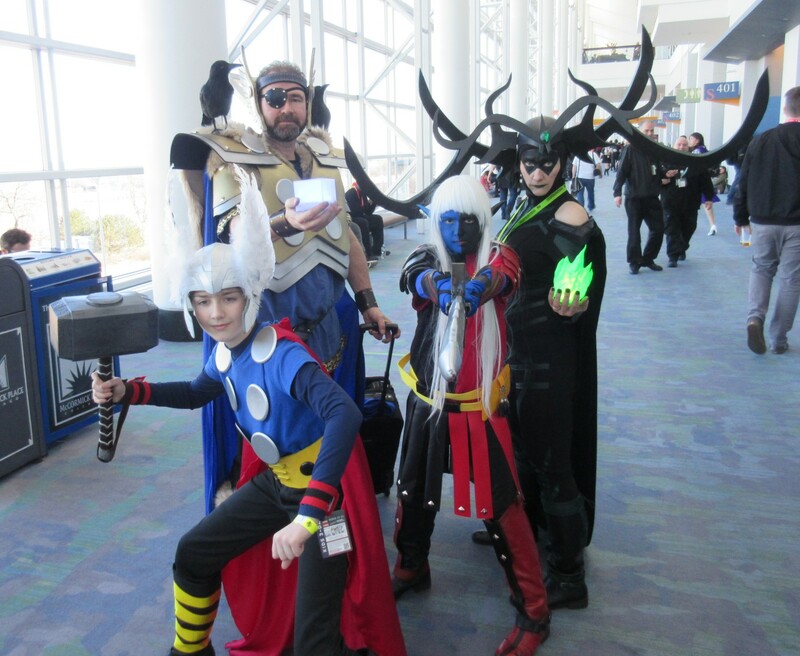 The family that Norse together is a force together. Part 1: Paul Rudd! From “Clueless” and Marvel and Stuff! « C2E2 2019 Photos #2: David Tennant! I was there on Friday & Saturday and didn’t see these costumes! There were so many good ones! And there were so, SO many more great costumes we didn’t catch on camera. I saw a fantastic one from Marvel’s “Runaways” heading up an escalator while we were going down, but there was no way to catch her. 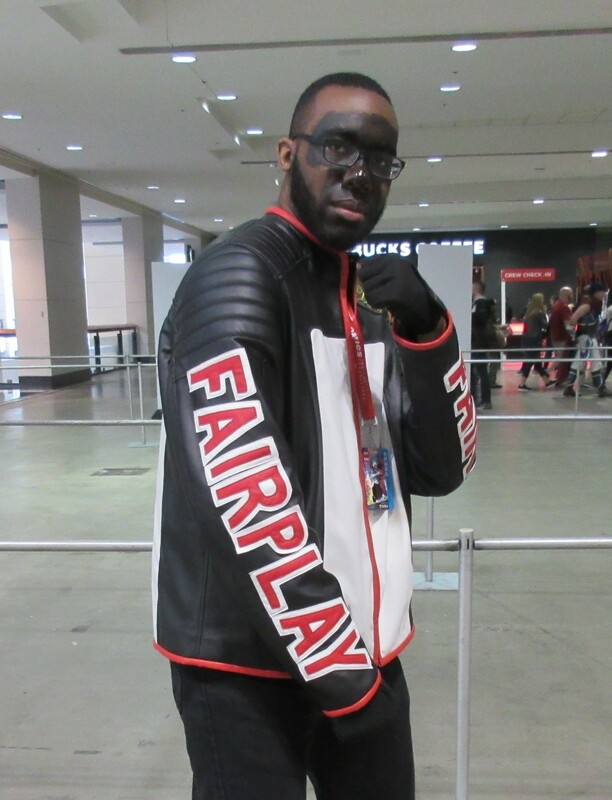 And we had friends who were part of a massive “Masters of the Universe” cosplay group on Saturday, but we didn’t see any of them no matter how many times we walked back and forth across the exhibit hall and lobby. No matter how many we see, it’s still frustrating how many more we don’t get to see in person! The time, money and effort put into some of the costumes is outstanding! A labor of love for many.